Lion Chair is part of the new range of Safari themed furniture by Wonderworld. The Lion Chair is beautifully designed and well crafted using a solid piece of wood for both the chair seat and back, not mdf. 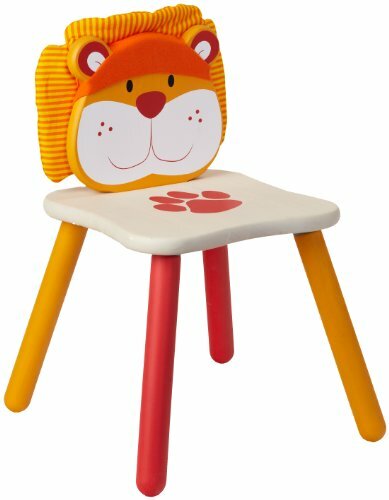 The Lion Chair has red and yellow legs, a lion face and a cute lion face back support. It is one of three animal chair designs which go with the new Safari Table. Sturdy and will be cherished for years to come. If you have any questions about this product by Wonderworld, contact us by completing and submitting the form below. If you are looking for a specif part number, please include it with your message. 2xhome - Purple - Kids Table - Height Adjustable 18.25" - 19.25" Rectangle Shape Child Plastic Activity Table Bright Color Learn Play School Home Fun Children Furniture Round Safety Corner 24”x48"